To be honest with you, I never thought that I would be excited to review a bar of soap. Then again, I never thought that I would be rubbing sea salt from the Dead Sea on my skin either! 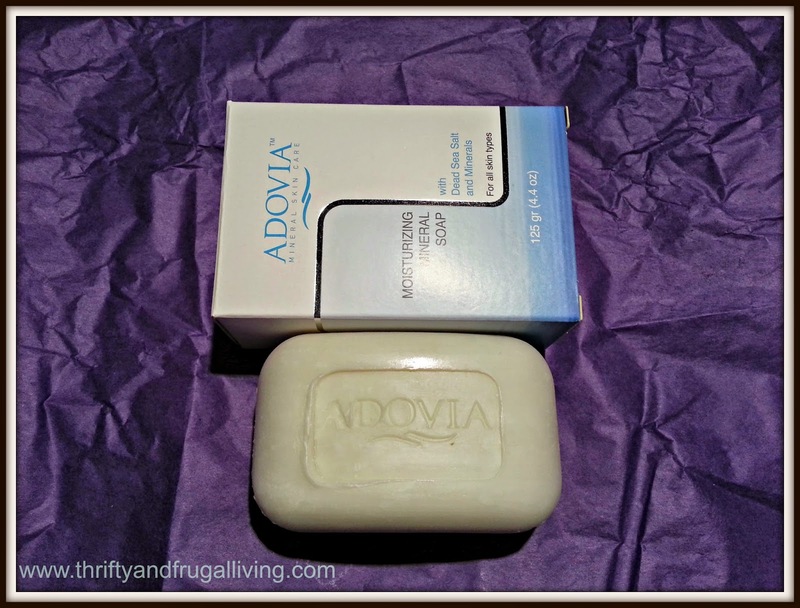 The Adovia Moisturizing Mineral Soap is not your Grandma's bar of soap. This soap is infused with 100% Pure Dead Sea Salts from the Dead Sea. It contains 21 minerals that are key to skin health and beauty including Magnesium, Potassium, Sodium, Zinc and More. There are several key things that I look for when it comes to trying a new soap or body wash: scent, lather, how easily it washes off the skin, how my skin feels afterwards (including if my skin feels moisturized or dried out), if I can use it on my face/shave with it and how long the soap lasts. I wasted no time in putting this soap to the test. Scent- This soap smells AMAZING. The best way I can describe the scent is to say that it smells really "clean". There is something else to the scent (faint floral notes?) but I can not place it. I thought the smell was a little overpowering when I first removed it from the box, but it isn't overpowering as you use it in the shower. It actually makes your entire bathroom smell amazing for hours after your shower. The scent also lingers a little on your skin (not a lot, but enough to be pleasant and make you feel clean). Lather- This soap not only lathers well, but it does so easily. You use very little of the soap when in the shower. How easily does it wash off the skin- Very easily. It does not stick to your skin or make you feel like you have to work to rinse it off. How does my skin feel after using- I feel really clean and smell amazing. The soap does not dry out my skin at all like most soaps do. My skin doesn't necessarily feel moist, but it doesn't feel dry or sore either. It feels soft, clean and healthy. Can I use it on my face/shave with it- Yes! If I use other bar soaps on my face it is peeling and dry when I get out of the shower. 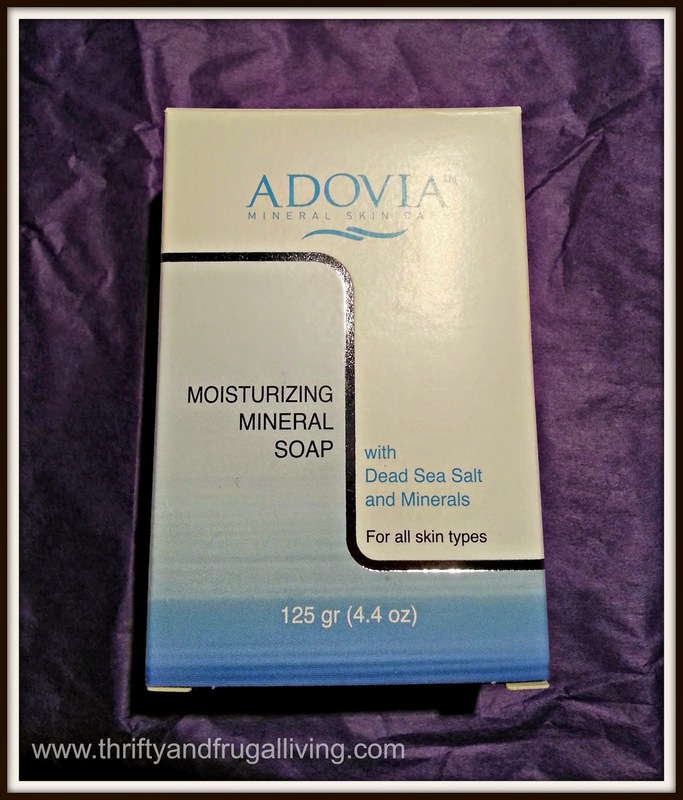 I have been using this Adovia Mineral Soap on my face for 2 weeks with no peeling or dryness. It makes my face feel so much cleaner than the facial wash I was using previously. I love it on my face! I have also not had as many breakouts. I have also been using this to shave. Since it lathers so well and is not drying, it makes shaving a breeze. How long does the soap last- Well, I have been using this soap for about 2 weeks now. As of now the bar looks almost the original size. You can even still faintly see the Adovia stamp on the bar. It appears that this Adovia Mineral Soap will last for a long time. As you can see, the Adovia Dead Sea Salt Moisturizing Mineral Soap passed all of my tests with flying colors. Hence, my excitement to share this awesome bar of soap with you. The soap is currently on sale on Amazon for $11 with free shipping for everyone. I normally would not spend that much on a bar of soap, but this soap is definitely worth it. Have you tried any Dead Sea Salt products? What did you think? I'm with you. Soap has to have a pleasant scent without knocking you out and it must serve double or triple duty. I may have to pick up a bar to try myself. I've never heard of this soap. Thank you for sharing it with us.